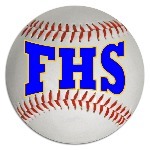 ​Both teams were strong on the mound Tuesday, but Falmouth Yachtsmen Varsity defeated Cheverus 3-1. Garrett Tracy allowed just three hits to Cheverus. Cheverus opened up scoring in the first inning, when Justin Ray grounded out, scoring one run. Falmouth Yachtsmen Varsity pulled away for good with two runs in the third inning. In the third Conner Coffin singled on a 1-1 count, scoring one run and Griff Aube doubled on a 0-1 count, scoring one run. Tracy was credited with the victory for Falmouth Yachtsmen Varsity. He surrendered one run on three hits over seven innings, striking out seven. Lonna MacDonald took the loss for Cheverus. He lasted six innings, allowing four hits and three runs while striking out seven. ​Coffin, Tracy, Will Bopp, and Aube all had one hit to lead Falmouth Yachtsmen Varsity.